I am so excited to present today’s project with you. This thread organizer is my submission in this month’s Power Tool Challenge. The theme this month is REPURPOSE, and you may already know that is something I love to do. 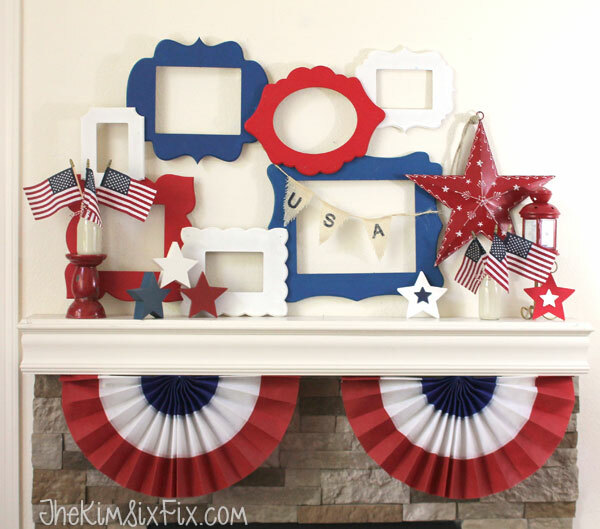 I decided to repurpose a large wooden frame I had originally used for a Patriotic Mantel. Back then I had painted the frames red, white and blue, but for this project I wanted it to be a little more sophisticated, so I brought out the Modern Masters Gold metallic paint. and then painted the rest of the frame black. I cut down a 1x12 to the size of the frame opening and also painted that gold. And that was it. A decorative spool organizer that hangs on the wall. I put it in my sewing room next to my vintage sewing machine collection. I can find all my thread quickly and easily with this new system. And I salvaged and old frame in the process. If you enjoyed my epicycle, you have to see what these other 9 bloggers came up with.